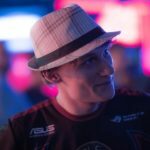 I started playing StarCraft II professionally in 2012, but I don’t think my journey really began until 2015 when I made it to the Round of 16 of a WCS Premier for the first time. 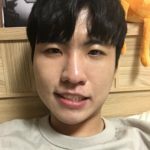 I was in school at the time, which meant that I couldn’t devote all of my attention to StarCraft, but reaching that stage was a good starting point which helped to motivate me going forward. My next significant breakthrough wasn’t until two years later. WCS Jönköping was only my second event since finishing school and becoming a full-time pro, but it was the first time I felt like I properly put my skill to use. I made it all the way to the finals and, while I probably should have beaten Neeb and won my first championship that weekend, playing on such a big stage was another step in the right direction. I played in the WCS Global Finals for the first time a few months later. It was the first time I’d spent an extended amount of time preparing for a particular opponent and, while I didn’t make it past the group stages, I learned a lot from the experience. In particular, my matches against GuMiho helped me realize my predictability was a weakness and that I needed to vary my play if I wanted to reach the next level. I didn’t win any of those events, but each of them was an opportunity to learn and improve. All the events I played leading up to 2018 – but those three, in particular – were the stepping stones that prepared me for what was to come next. All my years of hard work finally paid off at WCS Leipzig. Winning a premier event after losing in the finals the year before was one of the greatest moments in my career, but I didn’t linger on it; I quickly moved on to the next tournament. I think that approach and that perspective has helped me remain grounded and focused throughout the year. After I won in Valencia and Austin especially, people really started to talk. Everyone was worked up about the numbers, the win streaks, how many tournaments I’d won in a row and how many records I’d broken, but I simply didn’t care as much as they did. I didn’t see Austin as my third straight WCS Circuit championship. I was still just taking it one tournament at a time. 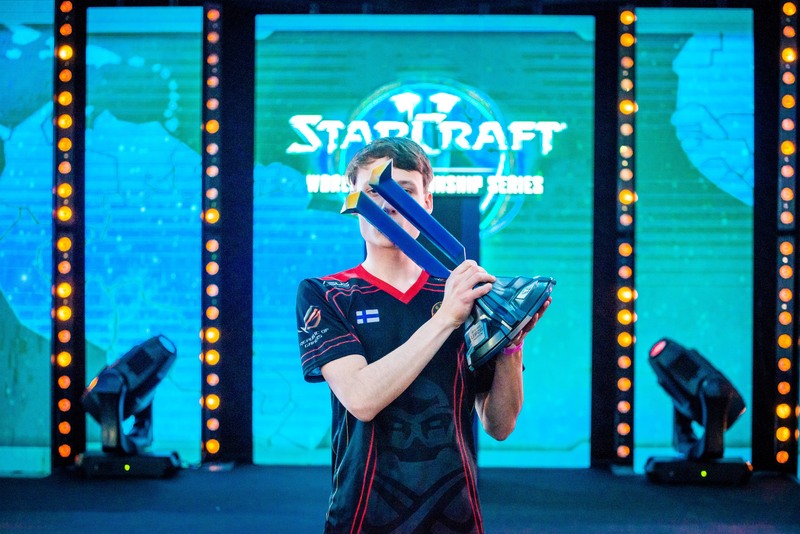 Winning both WCS Valencia and Austin made me unbelievably happy, but they didn’t affect me the same way my first WCS title had. I was taking care of business on the WCS circuit now, but I had more to prove to myself. The only thing left was to measure myself against the Koreans. I’d scored some positive results against Rogue and Trap at the IEM World Championship, but I knew I’d be going up against tougher competition than I’d ever faced before when I arrived in Seoul for GSL vs. the World. I definitely wasn’t expecting to win. Honestly, I wasn’t sure I had what it took to beat one top Korean after another. 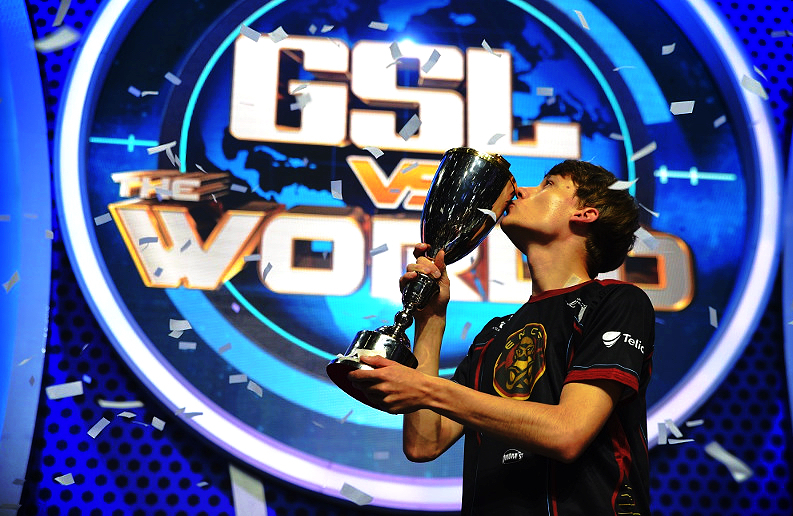 The tournament itself was a blur, but looking back I can safely say that winning GSL vs. the World meant more to me than anything I’d achieved at that point in my career. The field had been incredibly tough and I had to beat a number of very solid players. I guess you could say that’s when I realized I could do more than just compete with the Koreans come BlizzCon; I knew then that I could beat them. 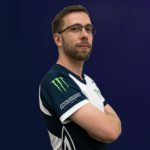 I won WCS Montreal a month later, which put me in a good spot heading into the WCS Global Finals. I considered Maru the favorite, though I knew I was right behind him. The opening weekend wasn’t very challenging, and I advanced from my group feeling confident that I’d be able to beat both Dark and Rogue as well. Don’t get me wrong, they’re both excellent players, but I knew I was heavily advantaged if I made it to the late game. I did my best to reach that point and things worked out pretty well. I don’t think I played particularly well in the final itself… then again, I always feel that way. The nerves were there from the start, even though I knew I was the favorite to win. They didn’t go away even after I took a 3-0 lead. Stats won the next two, but nothing changed in my mind. I kept as calm as I could and brought things back to the late game on Parasite. I was pretty speechless during the winner’s interview. I think the fact that I’d just become the WCS World Champion really hit me when everyone started crowding around me asking for autographs. I was completely overwhelmed. I wasn’t thinking about how I was the first foreigner to accomplish something like that. In that moment, all I could think about was how this was what I’d been chasing my whole career. I’d endured the slow progress and early struggles during my school days. I’d used my first solid showing in 2015 as motivation to push me forwards. Those experiences, as well as the disappointing finals loss in Jönköping and the learning experience of BlizzCon 2017, were all part of a journey, the stepping stones which had led to this, my proudest achievement. There’s no tournament in StarCraft II bigger than BlizzCon, and there’s no better feeling than earning the title of World Champion. You know, I never really cared about how many consecutive tournaments I’d won or how big of a win streak I was on, but winning something like this… even I have to admit, it’s pretty special. 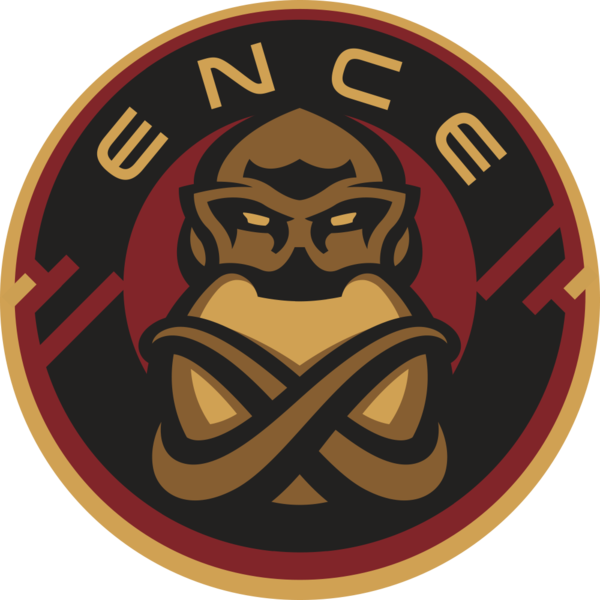 Professional StarCraft 2 player for ENCE eSports.